Anyone who has been to a wedding has teared up seeing the bride, groom, and their parents dancing together after the ceremony. These dances originated as most wedding traditions do, through the old “giving away” narrative that weddings used to have. 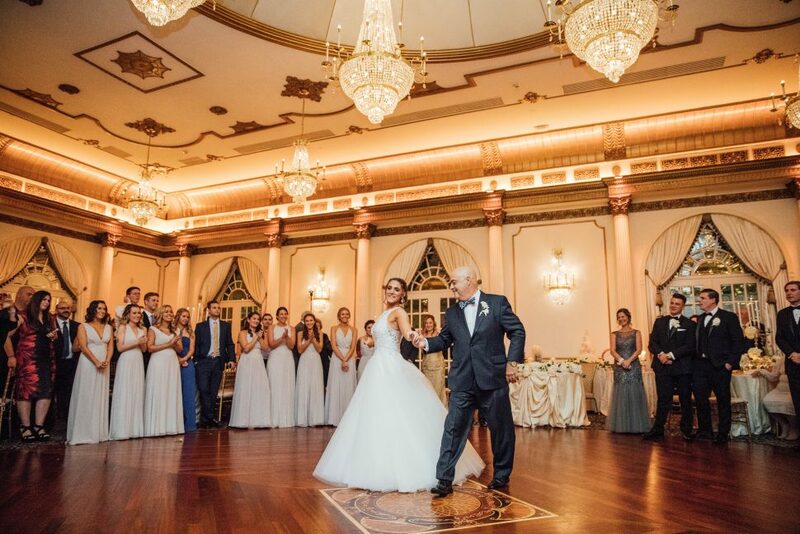 The father-daughter dance was meant to be an extension of one family giving away their daughter to a new man, then as time went on and traditions were passed down and altered, the mother-son dance also made its way into the wedding timeline. If you want to surprise your parent with picking a more upbeat song, pick one that you think best represents your parent-child relationship. This is an opportunity to start the party with a faster song that can easily transition everyone onto the dance floor for the reception. 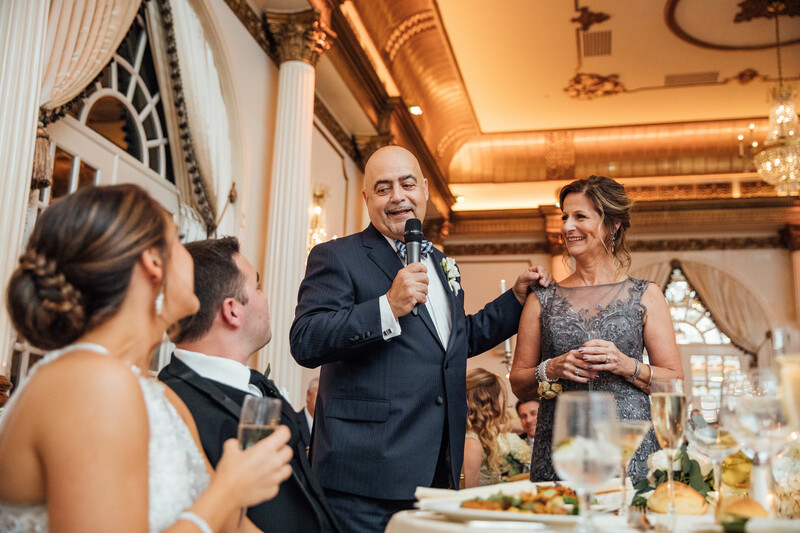 Nowadays, families are made up of many different types of parents, and while the newlywed-parent dance may seem like an outdated tradition, it can mean a lot to the person who raised you to include them into your wedding. 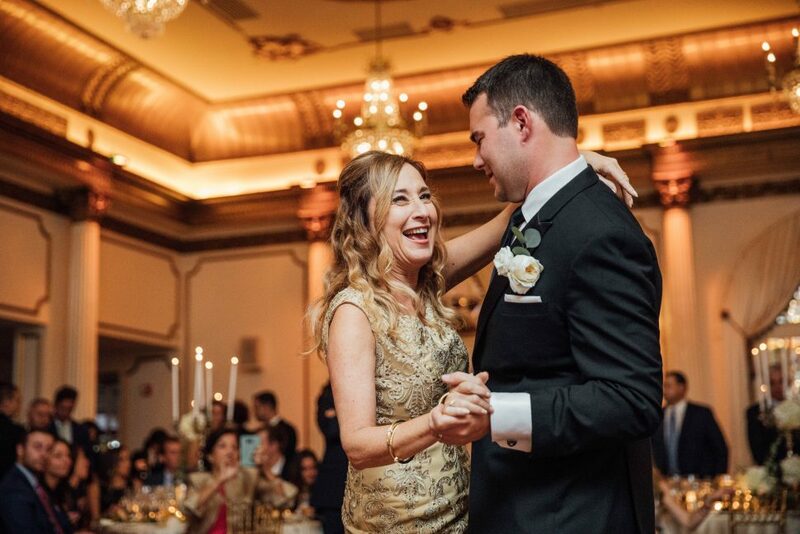 There are ways to reclaim this tradition; one is by having you and your spouse doing both of their parent-child dances side-by-side and gracefully transitioning to your first dance. Another way is to make this a fun moment by choreographing a dance number that encompasses your entire family, not just the parents. However you choose to include your parent, they will, undoubtedly, feel honored, special, and loved that day. Be sure to check out our Facebook & Instagram for more wedding inspiration! All photos from Ryan Sands Photography.